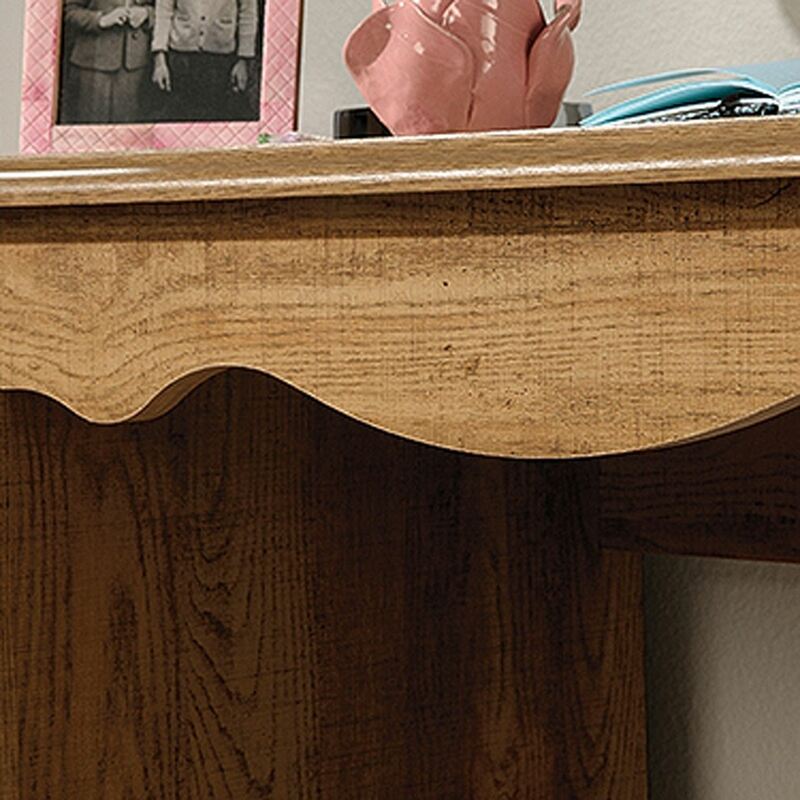 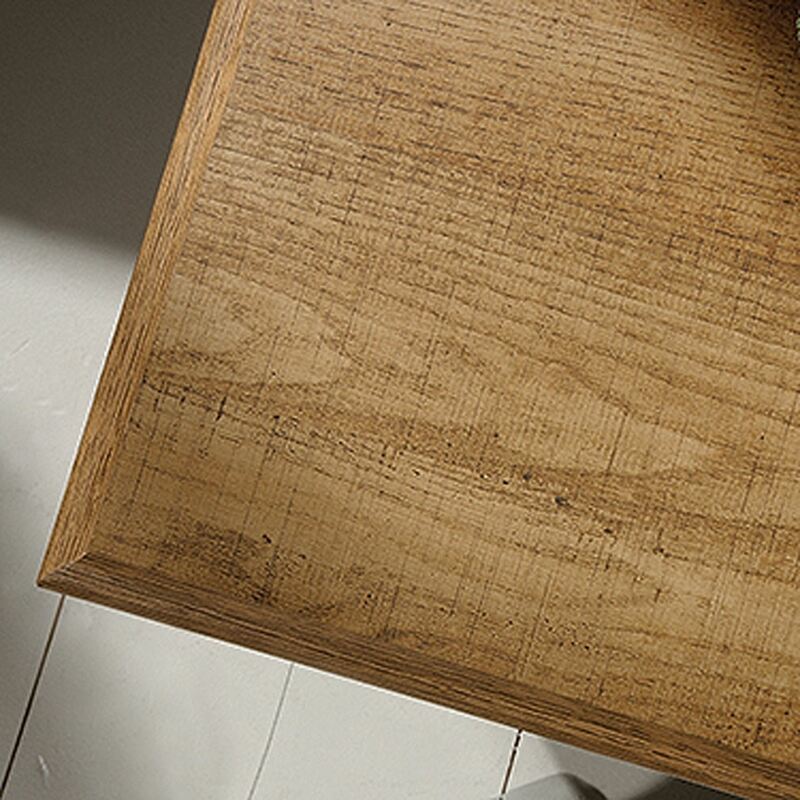 Eden Rue Desk Scribed Oak By Sauder. 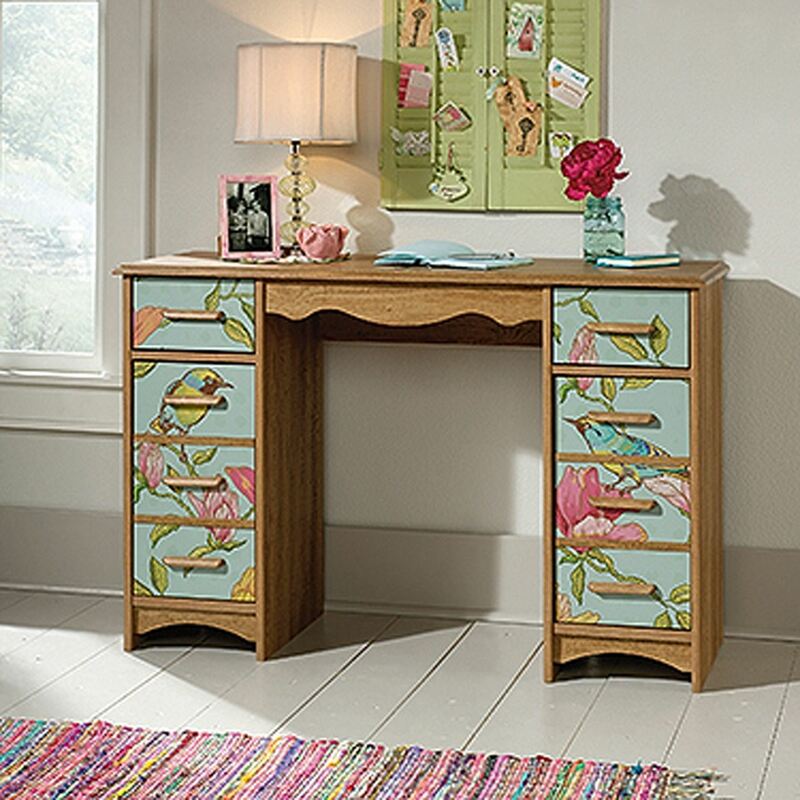 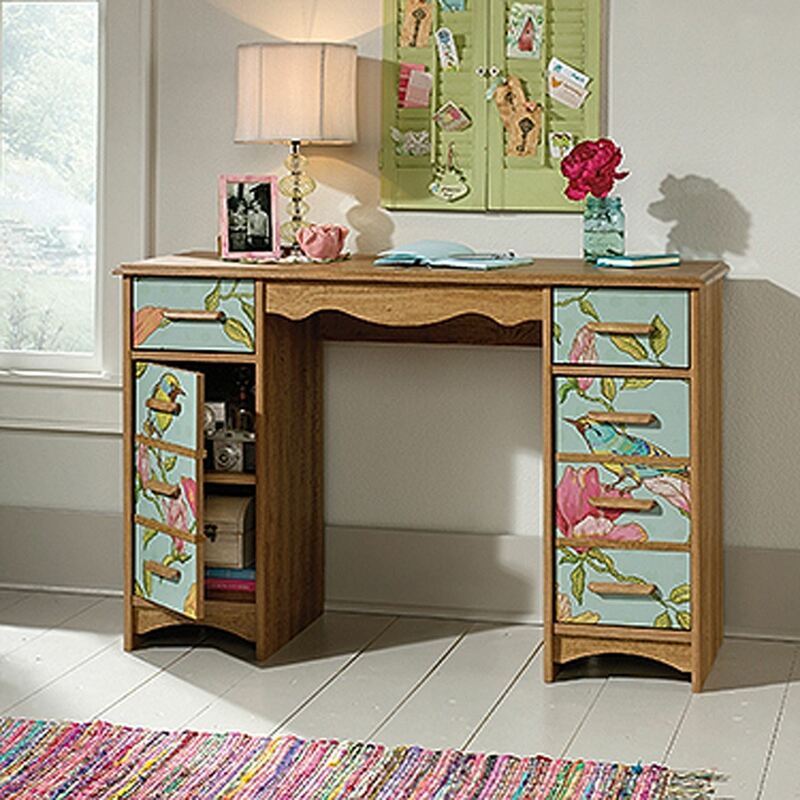 Inject a burst of color and originality into your home with this quirky desk from the Eden Rue collection. 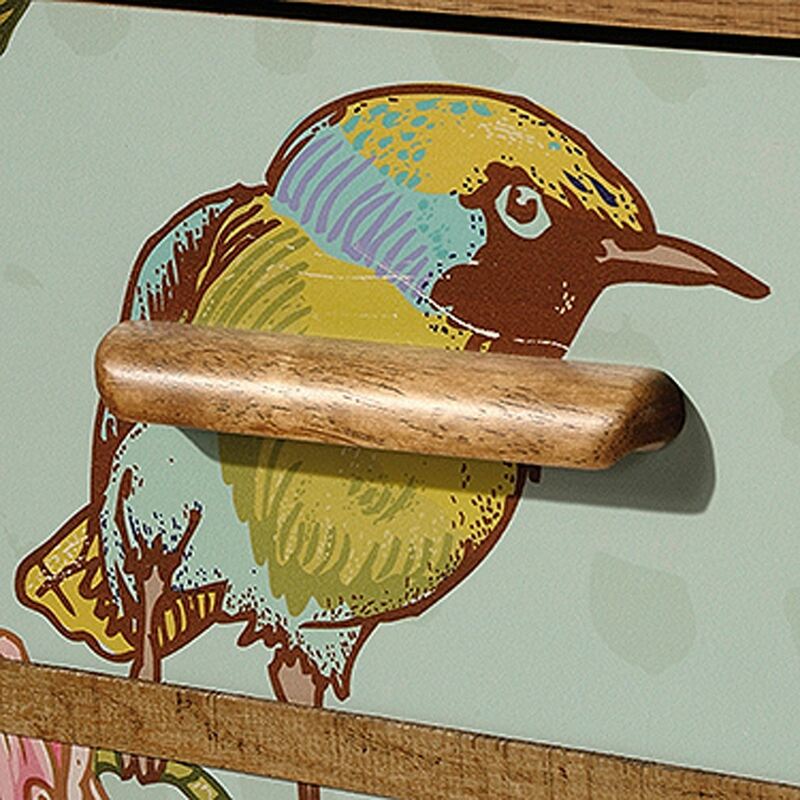 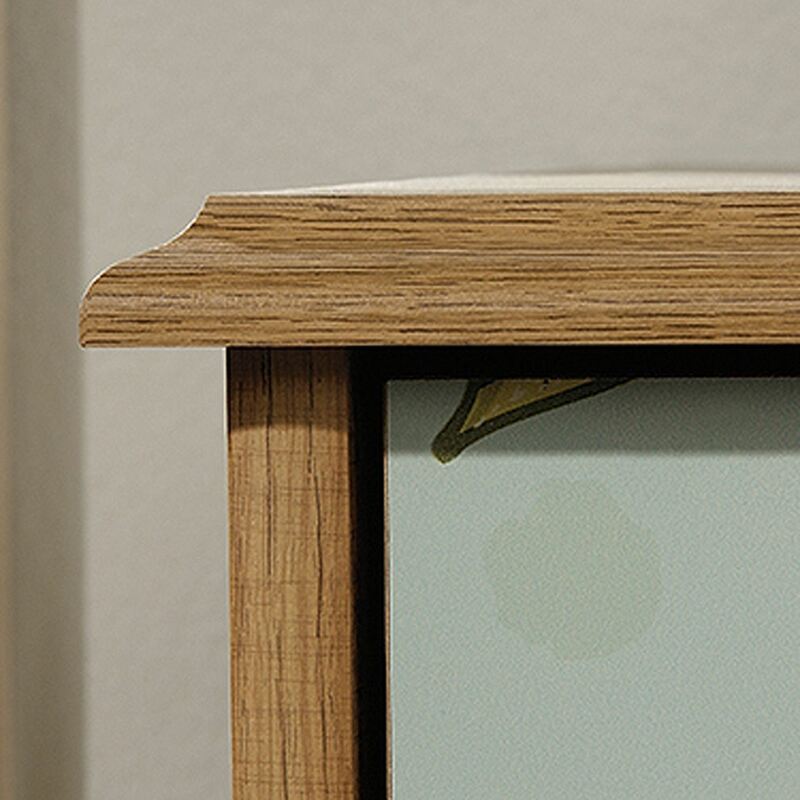 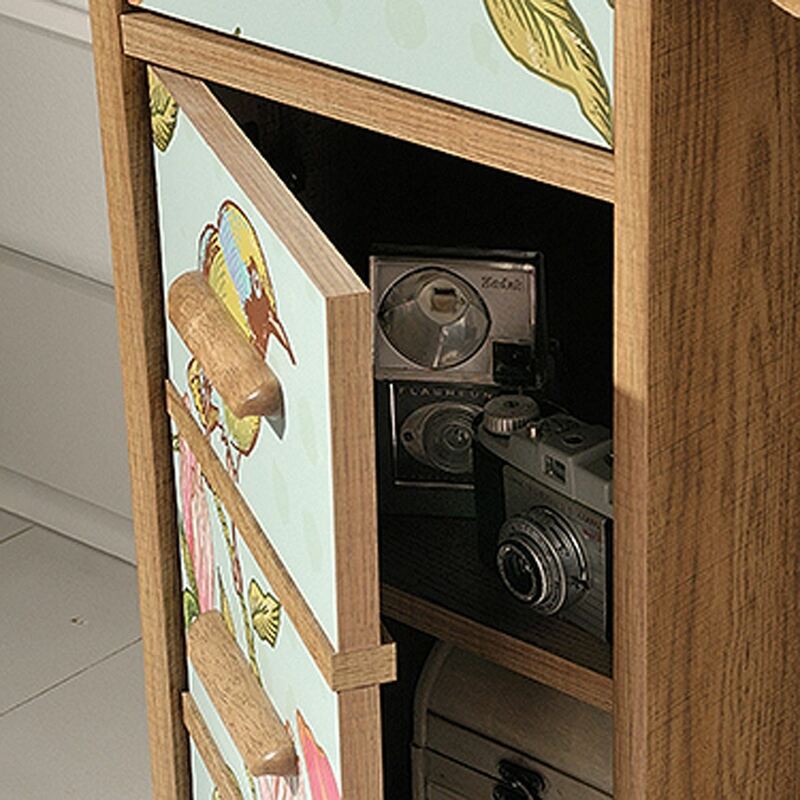 Midcentury style is accented with bird and flower graphics creating a hand painted effect over the drawer fronts. 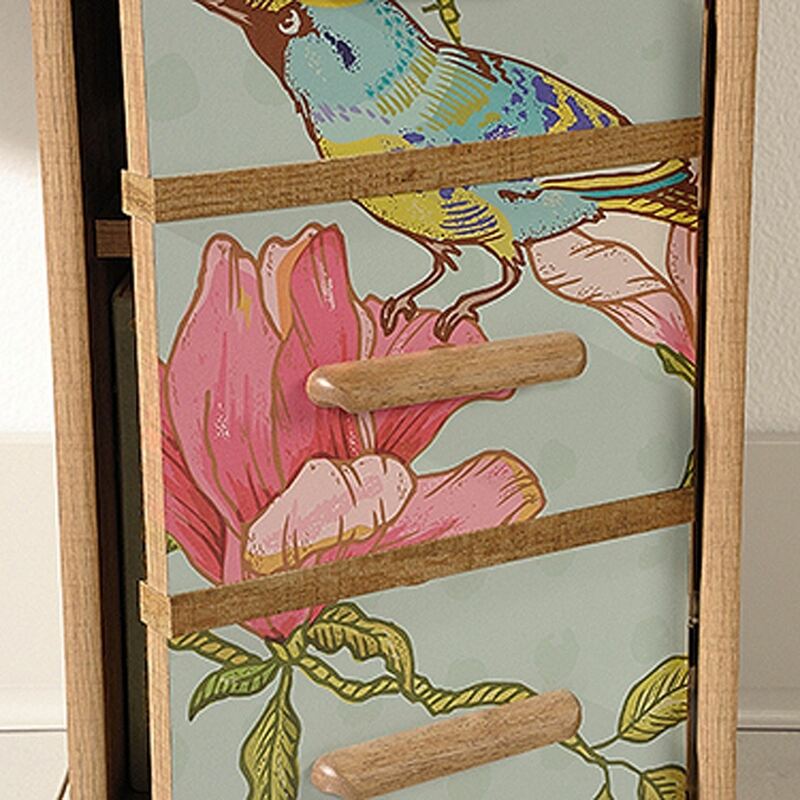 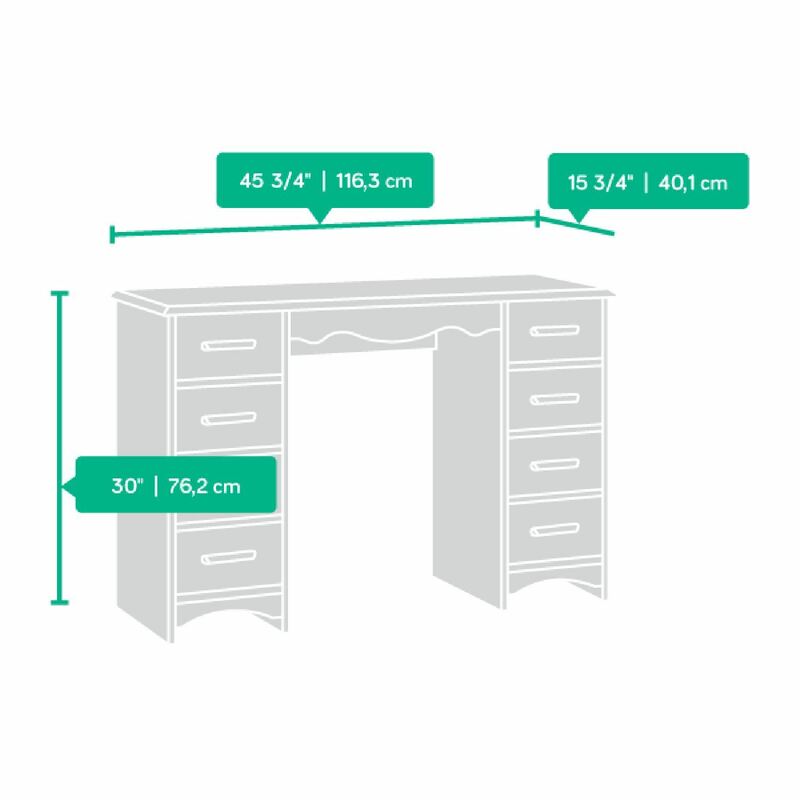 It's an easy way to add that up-cycled hand-me-down look without all of the hard work! 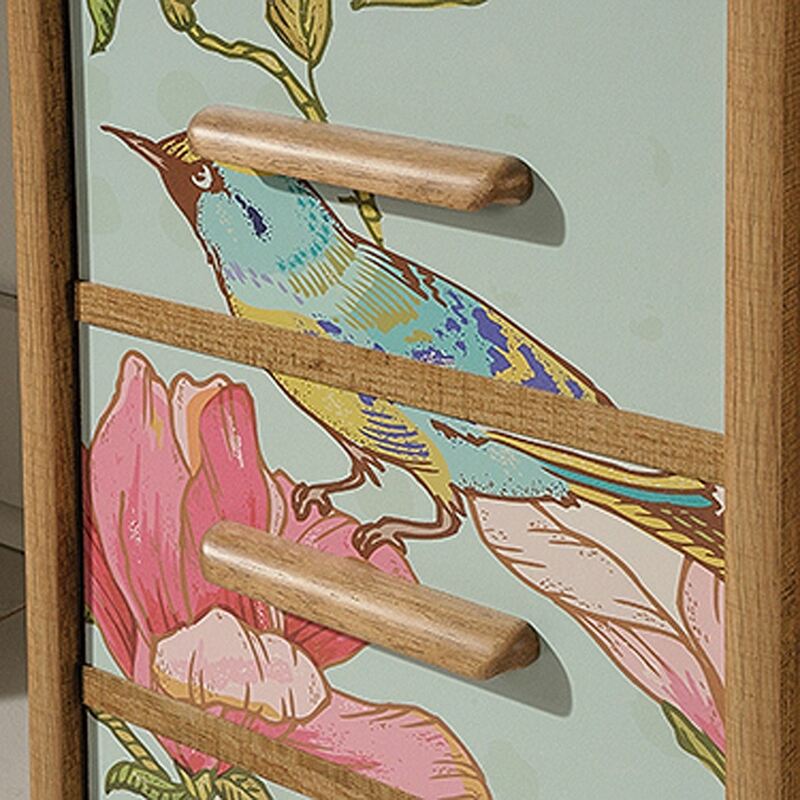 Graphic front panels feature bird and floral pattern. 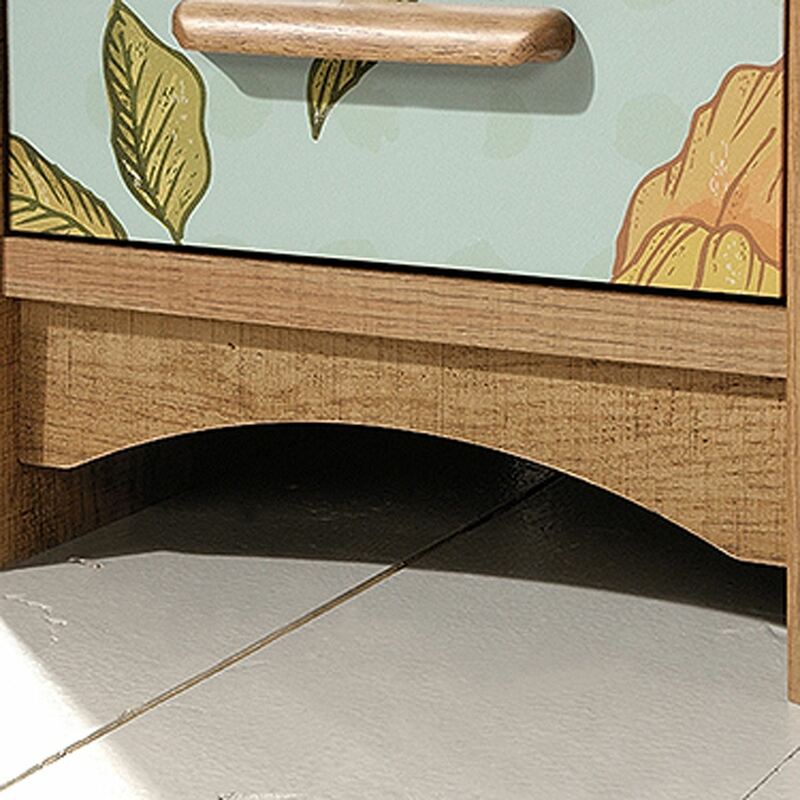 Adjustable shelf behind each door with faux drawer fronts.